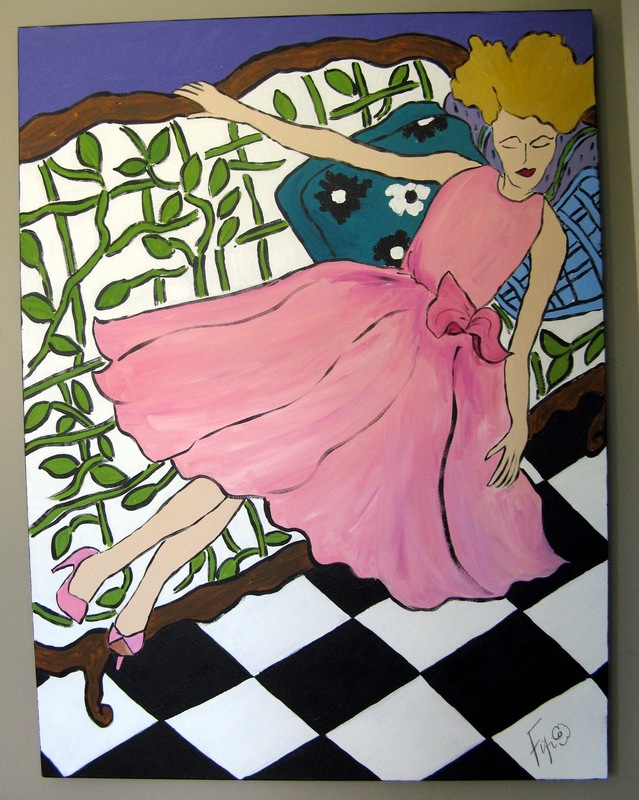 This is an Original Painting by Fifi Flowers... this 36" x 48" acrylic on CANVAS is painted in Fifi's whimsical and fun style and of course with a Parisian flair! Imagine this delightful painting in YOUR home!!! CLICK HERE TO PURCHASE NOW!!! PayPal - Bill Me Later is available for this purchase... OWN it NOW... pay for it LATER!!! Other items are available in My Etsy Shop... Paintings, Cards, Prints, etc for October Breast Cancer Awareness month... 10% of every "PINK COLLECTION" labeled Fifi Flowers artwork will go toward Breast Cancer research... Thank you for helping this worthy cause! MERCI TO MUFFY MARTINI FOR BLOGGING ABOUT ME TOO!!! Don't forget to visit other PINK posts via Beverly of How Sweet the Sound... see what others are doing for the Breast Cancer Awareness month... I will continue to add more items to My Shop... check back... ENJOY your weekend! P.S. 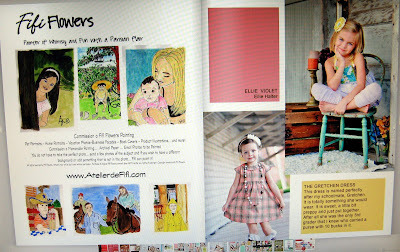 Yessss... notecards can be made of her... email me! Fifi I love it, wonderful for such a great cause!! I will have to come up with something fabulous as well! Thank you for this. So many women I love (friends of my mum) have suffered from breast cancer these past few years... I am thinking of them with love. A wonderfyl picture for a wonderful cause. Fifi, your good heart benefits all. And, your success makes my heart happy. Happy Pink Saturday, dear one. Thank you for all you do. Lovely painting for a great cause. My Mom died from Breast Cancer. I love your contribution to the cure. Happy Pink Saturday FiFi Sweetie..
As always you are so in the midst of anything to help a fellow woman. Sweetie what a beautiful painting for the cause. You are so generous with your God given talent. I love that most about you. Always there to help a friend in need sweetie. Congratulations on being featured in the Beverly Hills Child magazine. You are just popping up all over the place. Oh sweetie I am so thrilled for you. I am clapping so loudly my friend, so please stand up and take a bow. Bravo, bravo. Many, many hugs sweet friend. I hope you are well. I think of you every day that I see my photo on the mantel where it so proudly resides for all to see. I love it, just like I love you my friend. Great painting! Congrats on the mag spread!! Congrats on the mag feature! SO exciting! Congrats on being in the magazine! That is fabulous.